The objective of this section is to create a comprehensive data bank concerning the diverse aspects of the ganja phenomenon in Jamaica. Specifically, the efforts of the National Commission on Ganja in Jamaica, as well as other formal debates on decriminalization, health risks, etc., are offered. Immediately below you will find a link to our entire collection of literature regarding cannabis in Jamaica prior to the aforementioned National Report. 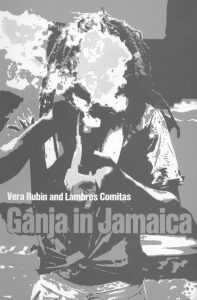 For the better part of the century, marijuana (or ganja) has been used by Jamaican working-class men, women and children – not for the euphoric “high” the plant is inevitably associated with in Western minds, but as an energizer among working men, as a prophylactic or therapeutic tea by women and children and as a medicine by nearly everyone, smokers and non-smokers alike. The National Commission of Ganja, pursuant to its terms of reference and after a period of exhaustive consultation and inquiry from November 2000 to July 2001, involving some four hundred persons from all walks of life, including professional and influential leaders of society, is recommending the decriminalisation of ganja for personal.